The Colli Euganei are volcanic hills, situated southern from Padua. They are world-known for their thermal baths in Abano and Montegrotto Terme. They attract not only relax lovers but any kind of tourists because of a wide choice of things to do. 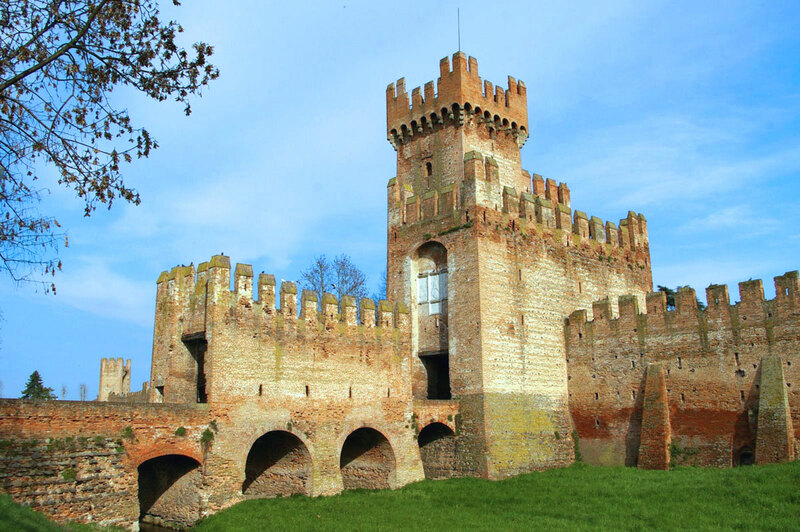 The hills of Padua are perfect for history and art lovers thanks to a series of walled cities situated in the south part of the area, or rather Este, Montagnana and Battaglia Terme. Este is one of the most important settlements of the ancient Venetians and famous for its ceramics. Montagnana is known for its Prosciutto and is recognizable from the imposing Rocca degli Alberi and the Castello di San Zeno. The Cataio, which is a fortress and the home of a warlord’s of the Serenissima, is the symbol of Battaglia Terme. Don’t forget to visit the native house of the poet Francesco Petrarca in Arquà Petrarca. Then, wonder the Benedictine Abbazia di Praglia. The 12th century abbey produces its own wine as well as a wide range of biological and natural products. The hills of Padua are perfect for sport as well as for food and wine lovers too. Thanks to the many bike trails and the numerous opportunities to taste typical products, above all the Olio Extra Vergine dei Colli Euganei.